There were a few packing houses located on Sanibel where vegetables, produce and citrus were delivered to be packed for shipment “up north.” Islanders would help each other harvest their crops and haul them by mule and wagon to the packing house. Seasonal workers were often brought in to pick tomatoes, peppers and citrus. The workers camped out at the work site and then moved on to another islander’s fields. 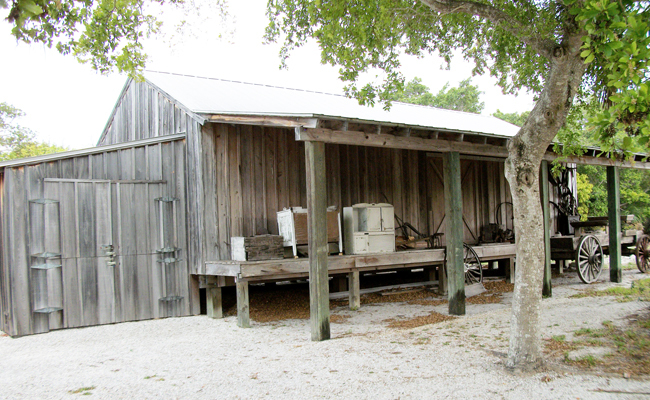 Agriculture was the main commerce for Sanibel settlers from the 1880s to the 1940s. Eventually tidal surges that washed over the island during several hurricanes rendered the soil useless for large-scale farming.